Verizon and Sprint CEO Marcelo Claure just got into an awkward tiff on Twitter. The row stemmed from Sprint’s poaching of Verizon’s former pitchman, the "Can you hear me now" guy, a.k.a. Paul Marcarelli. As a refresher, Sprint’s Marcarelli ads debuted on June 5. The campaign goes straight for the jugular, poking fun at Verizon. It took two weeks, but Verizon is finally hitting back. 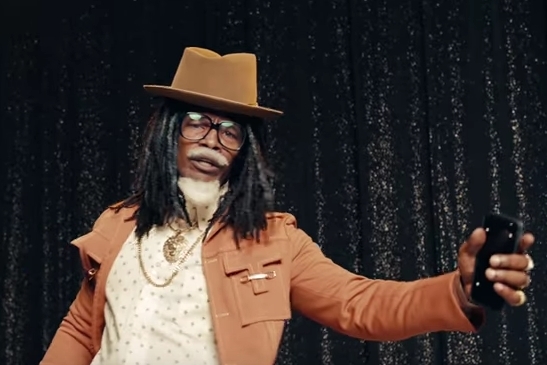 During the NBA Finals on Sunday, Verizon’s new ad campaign aired, featuring star Jamie Foxx posing as Future‘s fictional father, "Past." In the ad, he performs a jingle called, "I got Verizon." Later that night, Verizon tweeted out a message with its new "I got Verizon" slogan, including a direct diss to Sprint. Sprint’s social media pages did not respond to Verizon. Rather, it was Sprint’s CEO Claure who shot back with a series of four tweets the next day, defending his company and questioning Verizon’s data. Verizon quickly retorted with a comment on how long it took Claure to respond.
.@marceloclaure Wow, a day and a half later. You move about as fast as your network. But Claure took Verizon down a peg with his next comeback, noting that "no one has been talking" about the new, "I got Verizon" campaign. In comparison, Sprint’s Marcarelli ads have generated more than 1 billion media impressions from both traditional and social media outlets. Claure added that he has been busy "porting" Verizon customers and offered to publish a report that shows more customers choosing Sprint over rivals. @verizon sorry was busy porting your customers!! Would you like me to publish the port report that shows more customers coming to @sprint? One Twitter user noted that he didn’t see Verizon’s CEO Lowell McAdam getting involved in the conversation. @marceloclaure @verizon @sprint Hey Verizon, I don't see your CEO out here talking to the people.